The Ulva+ is a hand-held spinning disc sprayer designed for low volume (LV) and ultra-low volume (ULV) Controlled Droplet Application of insecticides and fungicides. 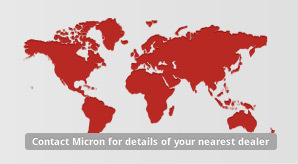 Micron's advanced spinning disc technology ensures efficient liquid atomisation to give appropriate droplet size ranges for both water-based mixtures applied at 10-20 litres/hectare total spray volume and ULV formulations applied at only 1-3 litres/hectate. Specially designed Micron Micropak backpacks are available to reduce the number of refilling operations. 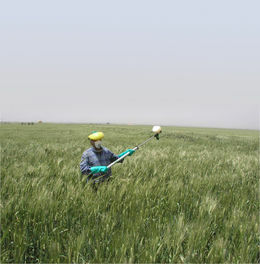 One hectare of crop can be treated in around one hour, with both wind and gravity used to distribute and deposit the spray. Designed particularly for the small farmer, the Ulva+ is used worldwide on row crops, e.g. 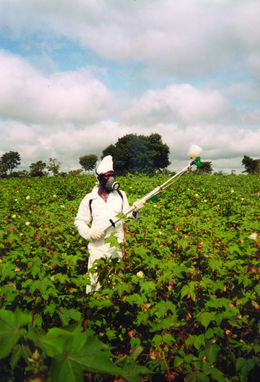 cotton, cowpea, groundnuts, tobacco, vegetables, etc., and for the control of migrant pests, e.g. locusts, grasshoppers and armyworm. 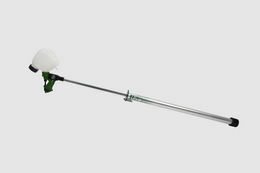 The Ulva+ can also be used for the vaccination of poultry and the treatment of mange (in pigs etc. ), as well as for insecticide treatments and the application of disinfectants. Versatile - can apply both oil and water-based sprays. High work rate and economical. Robust and simple to maintain. Battery powered with no pumping required.